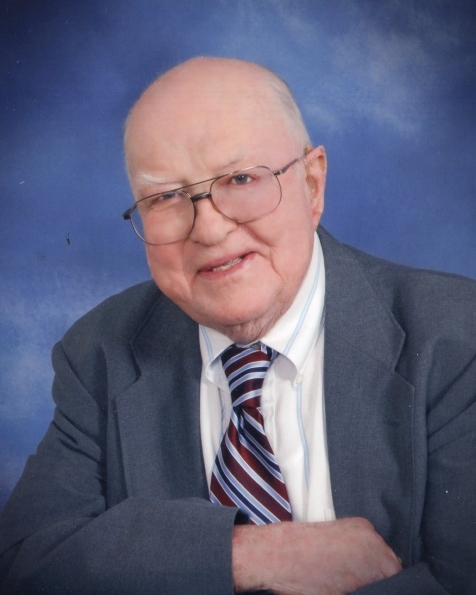 Jim Driscoll, 88, of Norman passed away on Friday, July 20, 2018. He was born August 20, 1929 in Boston, Massachusetts to Joseph C. Driscoll and Mary Evelyn (Drew) Driscoll originally of County Cork, Ireland. Jim graduated from Mission High School in Boston and received a Bachelor of Arts degree in European History from the Catholic University of America in Washington, D.C. Jim served in the U.S. Navy for four years including a tour aboard the carrier USS Randolph and one in Norman, where he met his future wife. Jim married Helen Genevieve Bode in 1957 in Norman, Oklahoma. They moved to Key West, FL where Jim taught elementary school, before joining the Education Branch of the New York Times. Later, Jim worked for the Frank Richards Publishing Company of Syracuse, NY before retiring and returning to Norman. Jim also worked for Norman’s KNOR radio station for many years. He was preceded in death by his parents; sister Anne and brothers Paul and Lawrence. Jim is survived by his wife Helen. Helen will be present to receive friends from 2:00 p.m. – 4:00 p.m. on Thursday, July 26, 2018 continued visitation will be from 4:00 p.m. – 8:00 p.m. at the Havenbrook Funeral Home, 3401 Havenbrook Street in Norman. The Reverend Joseph Irwin will officiate the Mass of Christian Burial beginning at 10:30 a.m. on Friday, July 27, 2018 at the St Joseph’s Catholic Church, 211 North Porter Street in Norman. Interment will follow at the St. Joseph’s Cemetery in Norman. Memorials may be made in memory of James J. Driscoll to the St. Joseph’s Church or charity of choice.